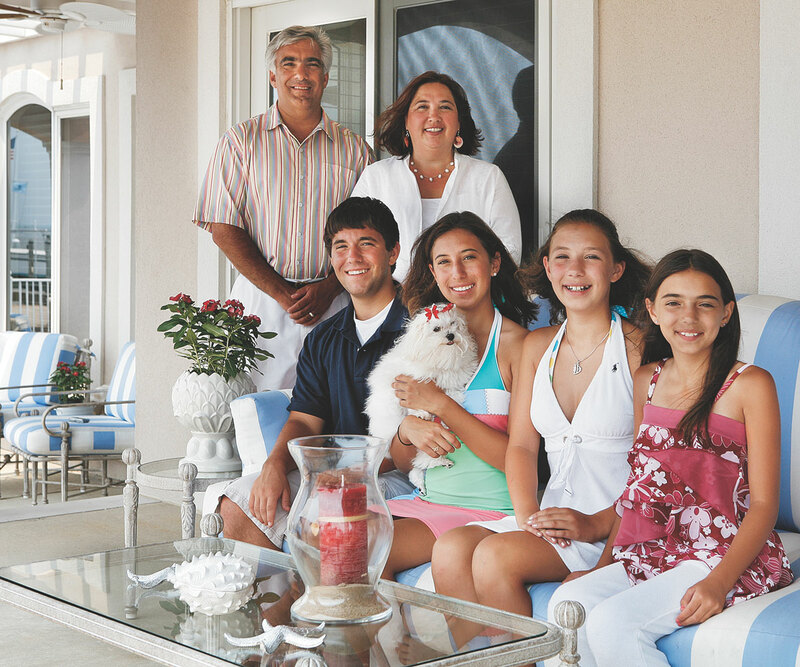 As the summer winds down, Maida — proud mom of four and a children’s book author — reflects on her family’s love for the Jersey shore and the interior design updates — via photos she shared — that keep pace with her growing family and changing tastes. The Maida family — circa 2008 on their backyard patio with Marnie the Maltese — who celebrated her sweet 16 this year. 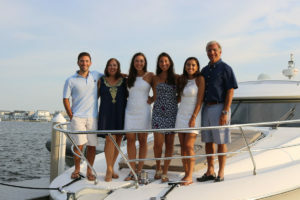 The Maida’s, together on their boat, “License to Chill” in summer, 2018. From left: Nick, Sharon, Lauren, Lindsay, Alexis and James. 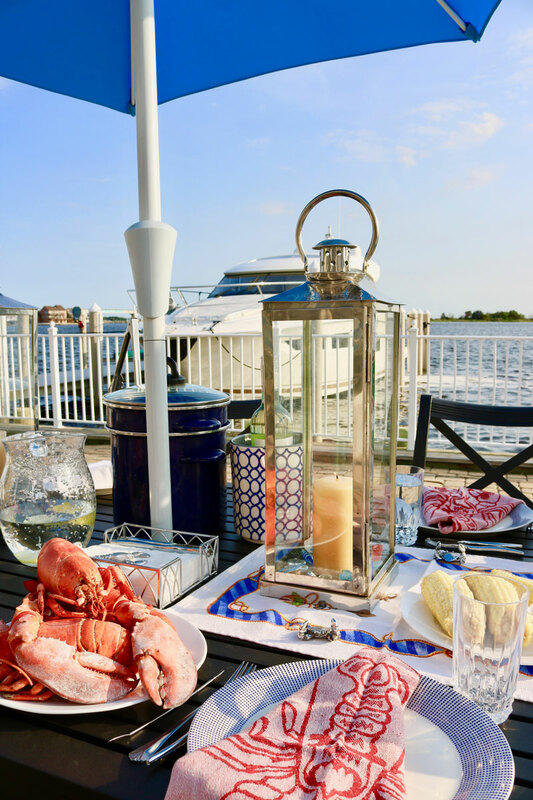 “When we are in Lavallette, life focuses around boating, sailing, pool and beach days,” Sharon Maida says. The children — now out of college and onto their careers — arrive each summer weekend with friends in tow. Design NJ: The Lavallette area took a major hit from Hurricane Sandy in 2012, as did many coastal communities. 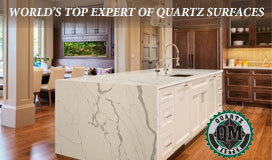 How did your home on West Point Island fare? Sharon Maida: Many, many homes in Lavallette were completely destroyed. We had nearly 2 feet of water throughout the main floor, but we were able to renovate and replace most of the contents in time for summer 2013. DNJ: What was your design plan post Sandy? Maida: In hindsight, I could have used this as an opportunity to redecorate, but we decided at that time to restore and replace everything because we had just completed a major renovation four years earlier. 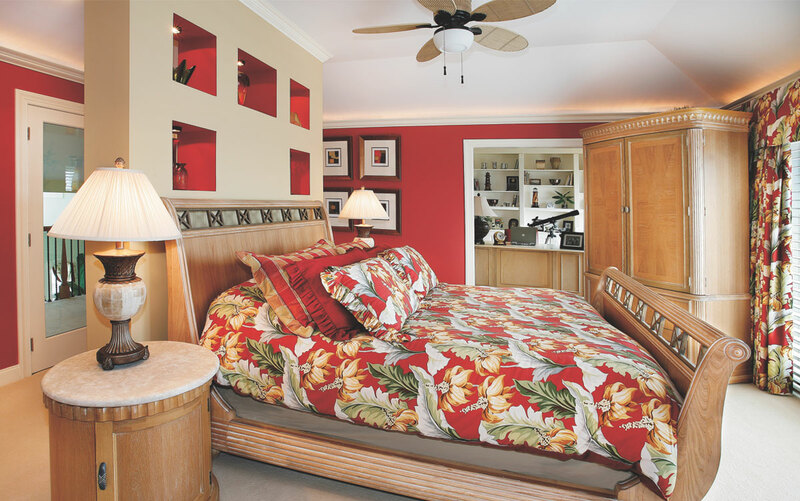 DNJ: That interior design scheme — expressed in bold or tropical-inspired hues of red, yellow and lime — reflected your love of the Florida coast here on the Jersey shore. What prompted the more recent cosmetic makeover? Maida: Since we purchased a winter home in the Florida Keys four years ago, I feel like our shore home need only reflect our life at the Jersey shore. At this stage, we wanted something beautiful but tailored, clean and uncomplicated. We enjoy a relaxed lifestyle here and it’s really the location — and all that it has to offer — that takes center stage. The changes are also in line with the fact that we are now a family of adults. DNJ: The foyer appears to launch the new design scheme. Describe the mood you wished to establish and prominent design changes. Maida: When you walk through the door, we wanted to feature the beautiful waters of the Barnegat Bay. To accomplish this, we kept the design simple and clean and introduced the new color scheme: cream, gray and accents of navy. 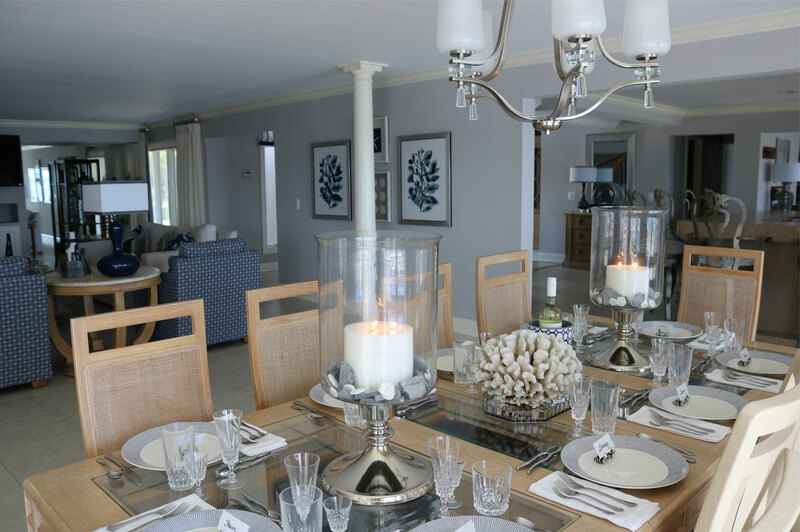 The chandelier still maintains its importance in the room but has a new silver finish and lampshades for a more relaxed vibe. Existing rattan seats were repainted and reupholstered, the runner was replaced with a [gray-toned] solid geometric pattern, and the floor’s inset border was given a more simplified solid stain treatment. DNJ: Describe the new paint scheme. Maida: We repainted the entire downstairs and master bedroom in three shades of light gray from Sherwin Williams: Evening Shadow (7662), Essential Gray (6002) and Grayish (6001). 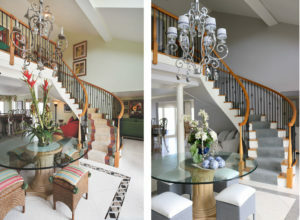 DNJ: How did you decide what furnishings or accents to keep and what to give away or replace? 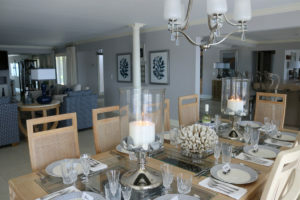 Maida: I feel that accessories often punctuate the design scheme, so I omitted the majority of the home’s accessories. 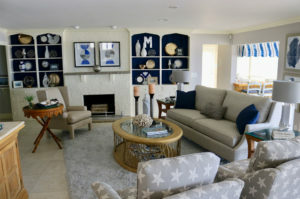 All of the fabrics and rugs were changed to make way for a clean, subtle nautical design. Nothing in this house is overly fussy. DNJ: The reading room contains the 1930s cottage portion of the home, which you retained for its sense of history. Describe some of the alterations here. Maida: We updated the upholstery in a more transitional style to complete the room. 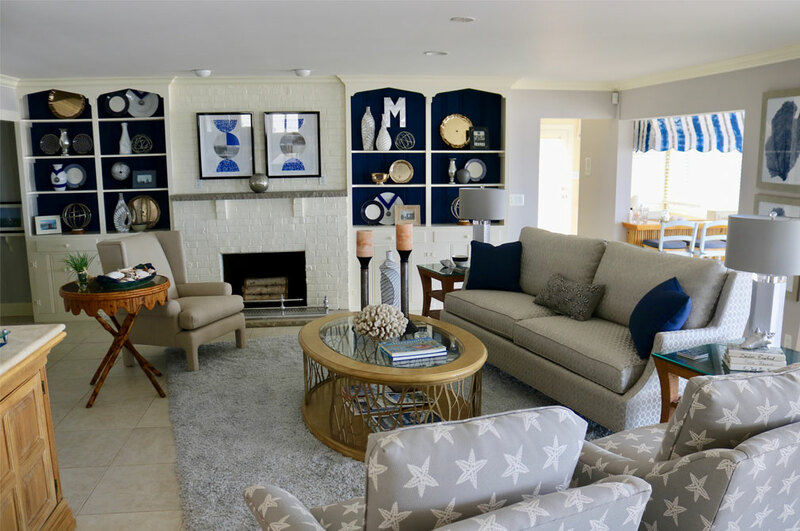 It highlights many of our families’ sailing trophies and accolades — many in silver tones — and contrasts nicely with the new navy accent color on the built-ins. The fender fireplace accessory, a sentimental family heirloom, now shines beautifully in complementary silver finish. It’s hard to believe it was under 2 feet of saltwater during the hurricane. Designer Robert Banner hand-painted the new awning (at right) in the newly dubbed bayside “Tiki Bar” to complement the reading room. DNJ: It looks like you retained the case goods in the family room but replaced the upholstery. The cabinetry was also reconfigured to accommodate a wide flat screen television. Maida: All of the upholstery was replaced with more clean-lined versions that complement the design scheme. We also incorporated a navy accent color in the curios, among other updates. To better capture the view, we replaced plantation blinds with roller shades and drapery panels, which made a dramatic difference in the combined family/dining room. DNJ: The master suite feels a more subdued or relaxed. What was your approach? Maida: We used a clean, soft palette of grays and whites to foster a tranquil aesthetic. Aside from the accent wall, we kept accessories to a minimum and incorporated tailored drapery panels with subtle nautical inspired borders. 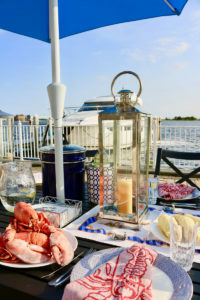 DNJ: With fabulous bayside views, I imagine you eat or entertain outdoors as often as weather permits. What’s a typical or fun summertime meal? DNJ: Are you planning any other updates? Maida: We love the result of this cosmetic makeover, but we never say never! I already have a few ideas up my sleeve… We love that our home is one in which people say they feel welcome and comfortable from the moment they enter. We have always been a sailing family and are so happy that our home reflects our love of the water and one another.